TVU Networks had a big presence during Super Bowl Week in Houston, with approximately 20 local TV stations as well as ESPN and ESPN International deploying its latest video- and audio-transmission technology, which allows delivery via Ethernet for those who spend much of their time at a primarily fixed location and via bonded cellular for those on the move. 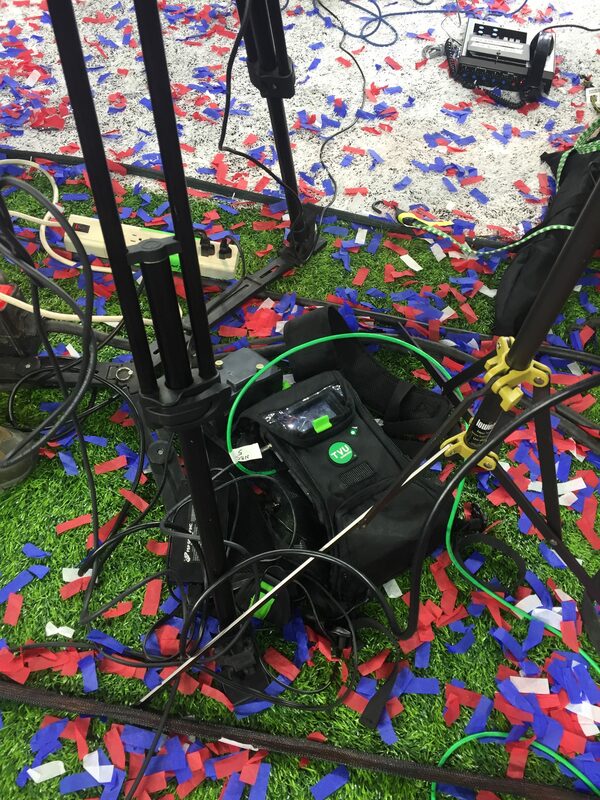 TVU One allowed local stations to transmit live from the field following the Patriots’ stunning victory at Super Bowl LI. Other stations that relied on TVU included WAGA Atlanta; WXIA Atlanta; KHOU Houston; WCSH Portland, ME; and KARE Minneapolis. The Super Bowl is a congested RF environment that requires a lot of signal coordination to ensure that traditional RF-transmission needs are met. The TVU One system avoids that congested spectrum but still faces some challenges as the use of cellular devices among average consumers at major sports events becomes the norm. Freed from the constraints of RF-signal coordination, users of bonded-cellular transmission have the freedom to change plans without needing to contact a coordinator or, even worse, being told transmission is impossible. Historically, one of the difficulties using a system that relied on bonded cellular has been the massive burden on the cellular-transmission bandwidth as fans fire up their phones. A test transmission that goes perfectly well in an empty stadium the day before the big game can struggle when the stadium is full. But that occurrence is becoming less and less prevalent for TVU One users. 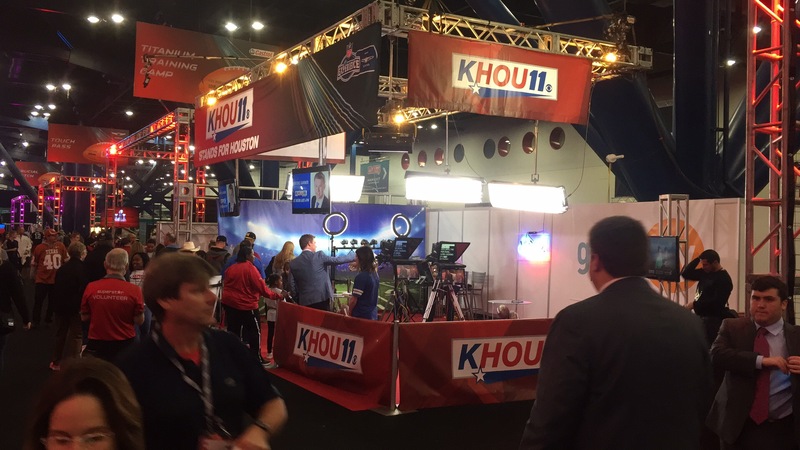 KHOU Houston used TVU One to backhaul signals from the NFL Experience to the station. And KHOU Houston even used the system to provide backhaul from the Super Bowl Experience at the George R. Brown Convention Center. Every day during Super Bowl Week, the station transmitted live from a studio within the Experience.